Many pets are anxious when taken for a ride in the car. There are some ways you can help them enjoy or at least tolerate the experience. This is a guide about getting pets used to riding in the car. Get into the habit of taking your pet with you when you know that you are going to places that you can take your pets; obviously not to doctor's offices or grocery store. They are great company to have ride along and it acclimates your feathered, furred, or scaly friend to riding in the car before they have to go to the vet. It also socializes them to being around people and being in different environments. I've traveled with many a pet over the years. I love my animal friends. Editor's Note: Parked cars can reach dangerous temperatures in a short time. Be sure that you will not have to leave your pet in the car during your errands during hot weather. This is terrible advice. You don't get into enough detail here. 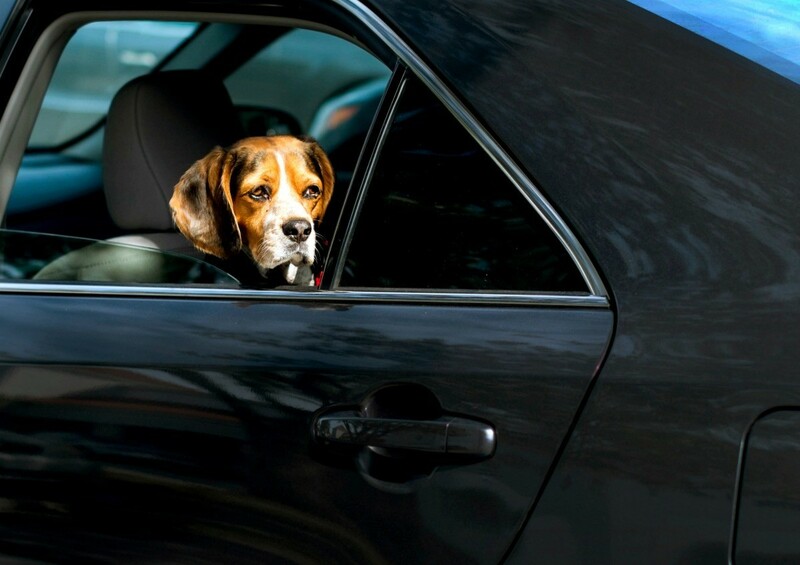 For one thing, being able to safely take your pets in the car depends on many things. 1~The weather. You neglected to mention that even comfortably warm weather can become dangerously hot inside a closed car, even with the windows down a little. And the same principle is true in the winter. It gets dangerously cold in the car very quickly once the heater is turned off so you can go into the store. 2~Where you are going and how long you will be out of the car. Even if you are just running in long enough to use the restroom, that 5 minutes is enough time to build the temps up in your car to dangerous levels. It only takes seconds. If you are simply running errands around town, leave your pets at home. If you are traveling, have one person stay in the car with the a/c running, while the other goes in, then alternate. If you are stopping to eat, go through the drive-thru so you don't have to turn the car off. 3~The type/breed as well as the health of pet you have. Most importantly here is the overall health of your pet. Young pets and older pets are much more likely to be effected by temperatures. But all pets are susceptible to it. Also certain types of pets (cold blooded pets) can actually cook inside. And certain breeds, even certain colors of pets are more susceptible. Long haired pets, dark colored pets, all absorb the heat more so than an light colored, short haired pet. So use your head. A good way to determine if it's safe to take your pets is for you yourself to go out and sit in your car for 30 minutes with the windows rolled to the degree that you would leave them for your pets. No a/c, no heat, and no shade because you may not be able to find a shady spot in the parking lot. Or even if you do, shade moves with the sun so what's shady now may not be in a few minutes. If you can sit there for 30 minutes (this is because you may be delayed in a store, restroom, etc for at least this long) and be comfortable without sweating or getting cold, with a sweater on (remember they have coats on that they can not take off), then it should be safe to take them. But if you get even a little too warm, it could be dangerous for your pet. So leave them at home! I am assuming that this individual is savvy enough to know not to leave a pet in the car if the weather it too hot or too cold. I take my dogs or large parrots on vacation trips. I also take my dachshunds on errands if the destinations are pet friendly and allow them to come into the store with me so they still have an outing when it's hot or cold. Other than PetsMart, Pet Supplies Plus and Petco, your dogs are also welcome at Home Depot and Lowes, as well as possibly your local hardware store. Since my dogs are small, I also bring a baby blanket so they can ride comfortably in the cart and not have their paws get stuck in the rungs of the cart. As long as your dog is leashed, housebroken and well behaved, these stores allow the dogs to shop with you. I have an alternate reason for doing this. It keeps my dogs used to strange environments and noise, and they meet new people. One of my doxies is a Delta Therapy dog, the second doxie is going for testing this Fall. Visiting these types of places and exposing them to being pet by strangers is important for their Delta testing because even when your dog does pass, it has to be retested every two years to ensure it still has the personality to allow it to visit hospitals. I would never take my pet on an outing where he was not allowed to go into the establishment with me, and left in a car, either hot or cold, by himself to suffer the elements. I assumed that regular people would know that "take them along when you know that you can take them with you" means that you take them into the establishment, or through the drive through at the bank or a fast food run, or to go work at the garden, which is five miles from my house. I also mentioned that it would acclimate your pet to different situations and different people, in order to broaden their horizons. As it is not good for people to be isolated all the time, neither is it good for our pets. They will become fearful and scared of every little thing, because they have not been exposed to new experiences. You people certainly have a right to your opinions, but there is no need to be rude or hateful. Or assume. Maybe I didn't give enough detail, but I assumed, (wrongfully, I admit), that everyone like me would keep all these concerns in mind. Try to phrase it a little more kindly next time you have criticism; you have nothing to lose. To Cricket: By saying this is terrible advice, you are hurting a person's feelings and coming off as very snotty. You can post things in a nicer way than saying that something is terrible, especially if you're older than 12. While she might have been better off going into more detail, she didn't. I am sure the author knows the things you mentioned. No one is forcing you to take the advice the author posted, and you are perfectly free to leave your animals at home. To the author: It might be advisable if you are taking a pet along to familiarize them with environments and new situations and to desensitize them to the car, you might want to take along a second person that can care for the animal when the owner is driving and that can stay in the car with the animal to monitor the animal's reactions and adjust the environment accordingly.